Kibabii University wishes to inform All candidates who qualified for conferment of various Degrees and award of Diplomas and Certificates of Kibabii University in the 2017/2018 academic year that the Graduation Ceremony will take place on Friday 23rd November 2018 starting at 8.00a.m. at the Graduation square. ALL GRADUANDS AND GUESTS SHOULD BE SEATED BY 8.00 a.m.
All qualified candidates are requested to clear with the University prior to confirmation of inclusion of their names on the graduation list by Monday 12th November 2018. The clearance process will entail the submission of a copy of your National Identity Card, whose names will appear on the academic certificate. All graduands who wish to participate in the ceremony must attend the rehearsal at the University Graduation Square on Thursday 22nd November 2018 at 9.30a.m. Graduands should be in full Academic Regalia and be seated by 9.30a.m. Each graduand will be issued with two (2) invitation cards. The cards will be collected from respective Deans of Faculties/Schools as from Wednesday 21st November 2018. 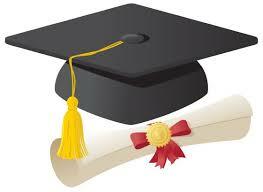 All graduands will be required to be in full academic regalia during the ceremony. The academic regalia will be available for hire as from Tuesday 20th November 2018 to Wednesday 21st November 2018 at the respective Faculty/School Office (NB: There will be no hiring of academic regalia after the stipulated deadline). The Academic Regalia MUST be returned to the University on or before Friday 30th November 2018. Failure to return the regalia by the indicated date will attract a penalty of Kshs. 500/= (Kenya Shillings five hundred only) per day. All the candidates who wish to graduate must clear all their FEES Arrears and clear with relevant offices by Monday 12th November 2018. No student will be allowed to Graduate with fees arrears. All candidates MUST pay a mandatory ALUMNI FEE of Kshs. 1,000 together with the graduation charges. An Alumni Meeting will be held on the rehearsal day on Thursday 22nd November 2018 at 1.00 p.m. at the Auditorium B immediately after rehearsal. For more information, please contact the officer indicated below and/or visit the University website.